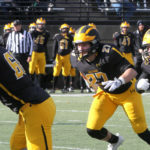 The Gustavus football program has set dates for its 2019 summer camps: June 13-14, and 19-21. 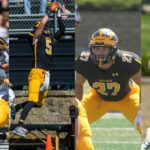 D3football.com released its All-West Region Teams on Tuesday morning and Gustavus junior tight end Brayton Finch (Mount Morris, Ill.) is named to the First Team Offense. 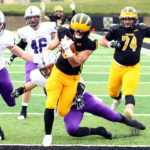 Finch is the first Gustie football player to be named All-West First Team since wide receiver Matthew Boyce in 2015. 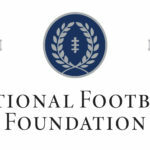 The Minnesota Intercollegiate Athletic Conference released its football postseason awards Tuesday and four Gustavus student-athletes were named First Team All-Conference – Matt Berkner (Sr., Sleepy Eye, Minn.), Brayton Finch (Jr., Mount Morris, Ill.), Brice Panning (Jr., Hamburg, Minn.), and Michael Veldman (Jr., Becker, Minn.). 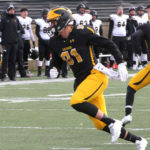 The Gustavus football team battled freezing and snowy conditions at St. Olaf on Saturday afternoon and wrapped up its 2018 season with a 29-20 win. The Gusties finish the season 6-4 overall and 5-3 in the MIAC. 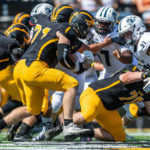 The Gustavus football team is set for its season finale at 1 p.m. Saturday as its travels to St. Olaf for a MIAC bout. 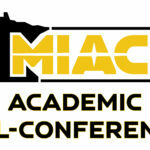 The Gusties enter the game 5-4 overall and 4-3 in the MIAC, while the Oles are 5-4 overall and 3-4 in the league. 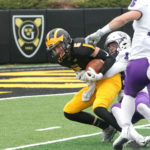 Brice Panning (Jr., Hamburg, Minn.) hauled in six catches for a career-high 158 yards as Gustavus nearly knocked off No. 7-ranked St. Thomas in a 14-13 loss over the weekend. Five of Panning's catches went for first downs, highlighted by three catches of 30-plus yards, including a career-long 58-yard reception. 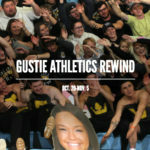 The Gustavus football team nearly knocked off No. 7 St. Thomas on a rainy Saturday afternoon at Hollingsworth Field, but a fourth quarter comeback propelled the visitors to a 14-13 nail-biting win. 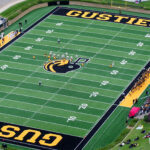 The Gusties held St. Thomas scoreless through three quarters, which hasn’t been done since its 2011 NCAA semifinal loss to UW-Whitewater.